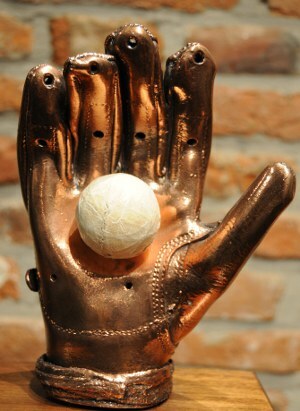 For many centuries, our regions have had a rich tradition of ball games played with the hand. Among them an important place is taken by the pelota ball, a sport that is still very popular today, particularly in Wallonia. 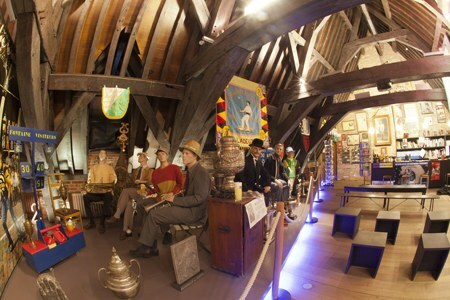 This is the first time in Belgium that a museum has been entirely dedicated to these sports. Opened in 2001, the Museum aims to highlight the long history of ball games in our country, and to study this rich element in our sporting and cultural heritage. Located at the heart of the town of Ath, one of the birthplaces of the pelota ball, the Museum is beautifully housed in an adapted setting. The permanent exhibition takes visitors on an exciting journey into the world of ball games. The historical, sociological, ethnographical or economic aspects are all fully illustrated during an educational visit, with a rich collection of objects and historic documents. The reconstitution of a Belgian estaminet café and the projection of a film help to plunge the visitor into the warm and exciting atmosphere of the pelota ball world. With an international scope, the Museum also presents ball games from abroad or games derived from them (baseball, cricket, etc.). A dynamic space, the Museum also regularly welcomes a range of exhibitions based on the themes of ball games. This cultural establishment in Ath is more than a museum, and also aims to be a documentation centre that is unique in its kind and publishes a richly illustrated quarterly magazine: "La Balle au Bond". The magazine is reserved to members (annual membership: €30 to be paid to the museum’s account 001-3338880-22).